The Intex JOIN-IT 2.0 multimedia speaker system is an ideal choice if you're looking for high quality desktop speakers. 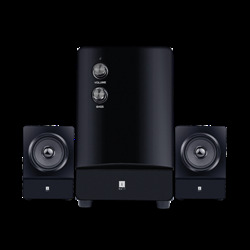 With their tall black design, these speakers sport a simple yet elegant design that blends in nicely next to your PC monitor or any other electronic device. 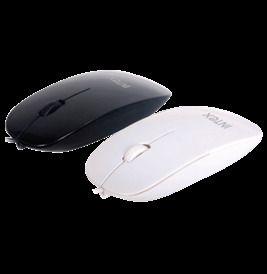 Its sleek body and compact size immediately captures your attention. With a 2.0 channel configuration, the speakers' drivers are encased behind a mesh like metallic grill for uniform distribution of sound. At the bottom of one of the satellite speakers is a large and convenient volume control knob. 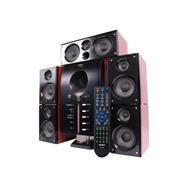 These 2.0 channel multimedia speakers are well equipped to deliver loud, crystal clear sound. 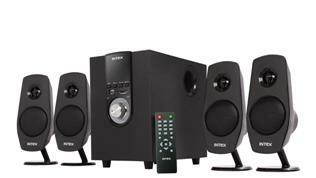 You can experience high quality sounds echoing through these speakers as you watch a movie or listen to music. Thanks to its advanced 5W speakers, sound delivery is distortion free and remains smooth and balanced while hitting high frequency notes. 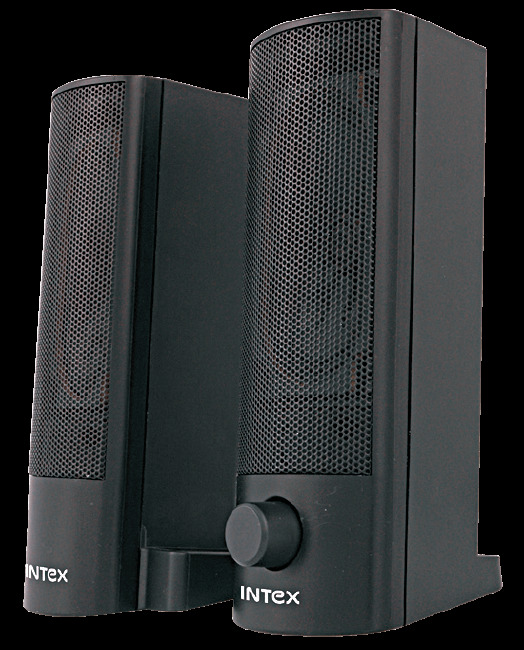 These Intex multimedia speakers are magnetically shielded to prevent any interference on surrounding devices and to avoid picture and image distortions. Enjoy a rich audio experience as you play games or watch movies on your computer. 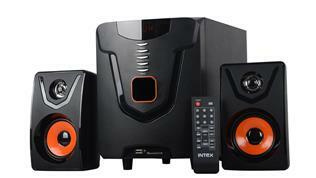 You can double your fun and entertainment with these 2.0 multimedia speakers. 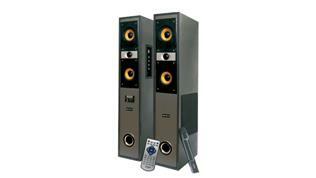 They offer you enhanced sound quality and output and ultimately loud sound delivery. 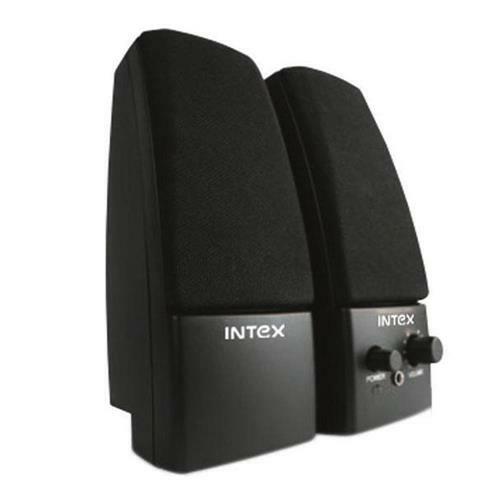 You can connect this Intex JOIN-IT speaker system to your mobile phones, laptops, PC, music players and other digital devices with its 3.5mm stereo jack. 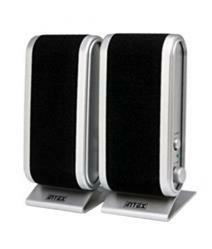 It is powered by a USB port and consumes a total power output of 5W RMS. If you don't want to play your songs through these Intex 2.0 multimedia speakers, you can listen to music privately by connecting earphones to the headphone jack.